Only during the very hottest days of summer is this fruit at its ripest. Here in the Northwest, it’s rare to taste a perfectly ripe melon. Only during the very hottest days of summer is the fruit at its most sublime, its fragrance humid and thick in the air; tropical, seductive. For a few short weeks, farmers schlep fragile melons from their hot eastern gardens to our local farmers market stands, and it’s our duty to eat as much of this ripe fruit as we can during their seasonal window. 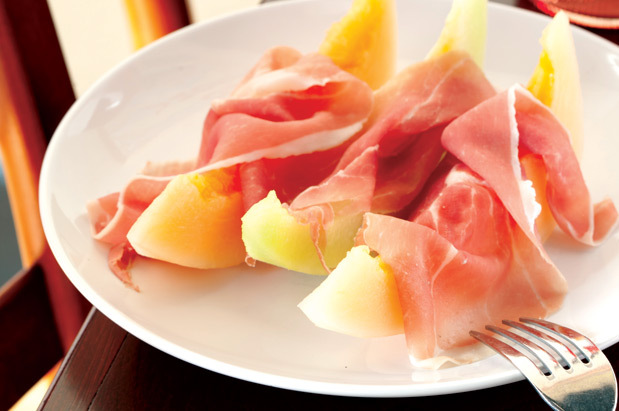 One of the best ways to do that is to tuck into Bar del Corso's prosciutto with local melon. In the airy Beacon Hill dining room, you’ll savor the soft flesh strewn with thin sheets of salty prosciutto. The honey juices of the melon melt into the buttery ham; it’s summer eating at its very best.